It’s the end of cabin season. That’s how most folks look at it. True, we needed to shut down the water system, defrost the refrigerator and clear the perishables out of the cupboards. But to us, those are just fall chores. We’re not closing down the cabin. We consider it preparing for winter. And so we headed off to the cabin for a brisk fall stay. With the string of cold days the weather has delivered lately, the cabin had taken on a definite chill. In fact, it was colder inside than out. Before we could fire up the wood stove to begin the warming process, Rich needed to complete his first maintenance and safety task. Donning his chimney sweep persona, he climbed up on the roof with what looked like oversized bottle brushes. Once the chimneys were clean and the fire was crackling, we headed outside to stack firewood. First rule of cabin visits in cold weather – stay active keep warm while the cabin heats up. With a new delivery of wood piled in the yard, we generated plenty of energy and warmth stowing it in the woodshed. With our initial burst of chores completed, we settled inside to read. 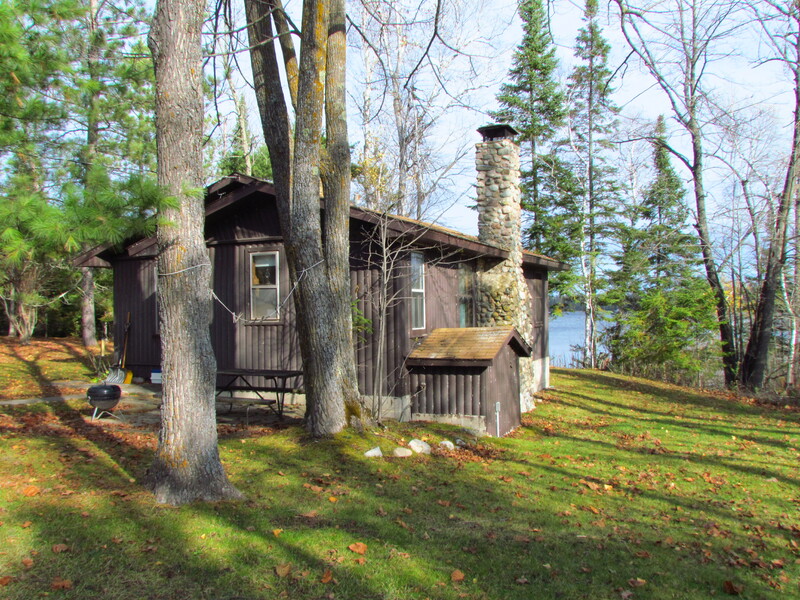 Each season of cabin life has its own personality, and fall is perfectly suited for snuggling up with a good book, hunkering down on the couch, and sitting by the warmth of the fire. It’s a more relaxed season than summer. The lake no longer calls to us. The boat is not beckoning. The fish are not waiting to be caught. There are fewer options and more relaxation time. The short days of fall invite plenty of good sleep. The nights are so dark and silent, it’s easy to hit they hay early and sleep in the next morning. 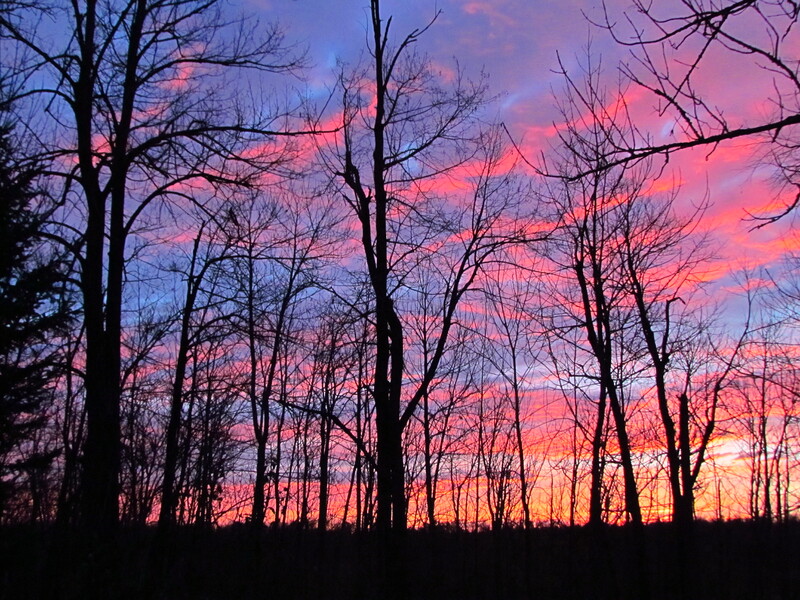 We did just that, and still had plenty of time to get outside by the first signs of sunrise. 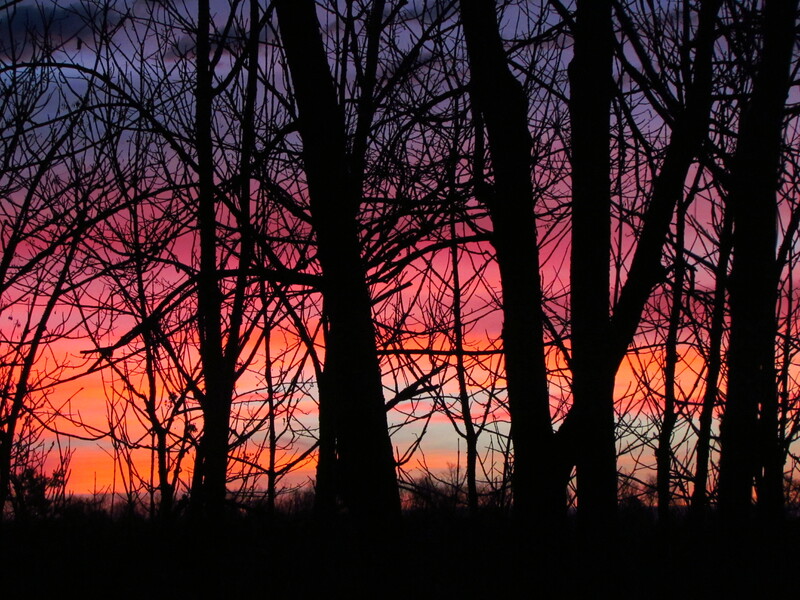 The early colors were vivid and soon delivered on the promise of a spectacular show. Each moment brought a new configuration of pinks and then reds, with the hues shifting and reflecting off the clouds above the horizon. Armed with our cameras and tripods, we each sought the ideal vantage point to catch the best view, staying out until our fingers were numb and the colors faded back to pastels. Retreating to the cabin I felt I’d earned my breakfast. Hot coffee and crispy toast never tasted so good. Soon winter will be upon us, and the cabin is now ready. Shovels are placed outside the door, firewood and kindling are in abundant supply, the ice auger has been retrieved from storage, the outhouse and sauna are accessible, extra blankets await. Winter is a wonderful season at the cabin. Let the snow fly – we’re looking forward to it! 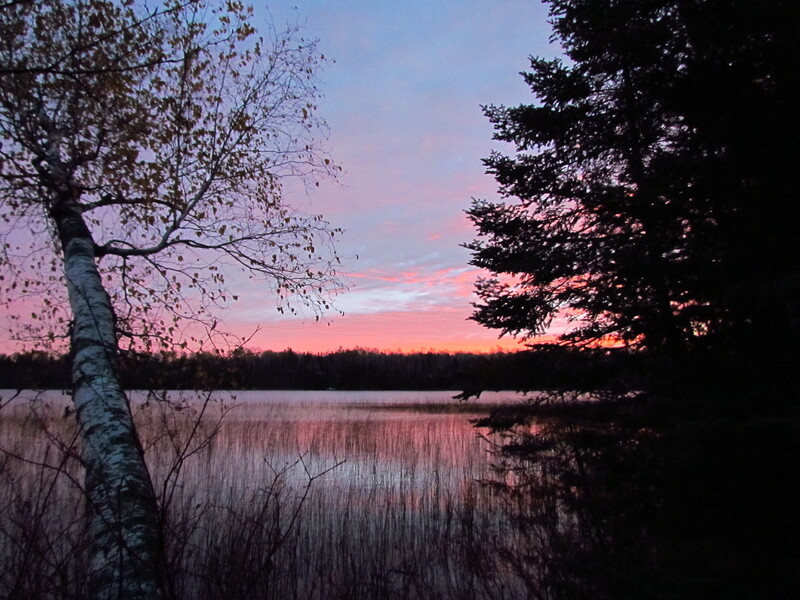 This entry was posted in Life Up North and tagged Cabin, Lake, Outdoors, Photography by Molly. Bookmark the permalink.